Welcome to the Southwest Dallas Reasonable Faith Chapter. We are very pleased to be part of William Lane Craig’s Reasonable Faith Apologetics Network. 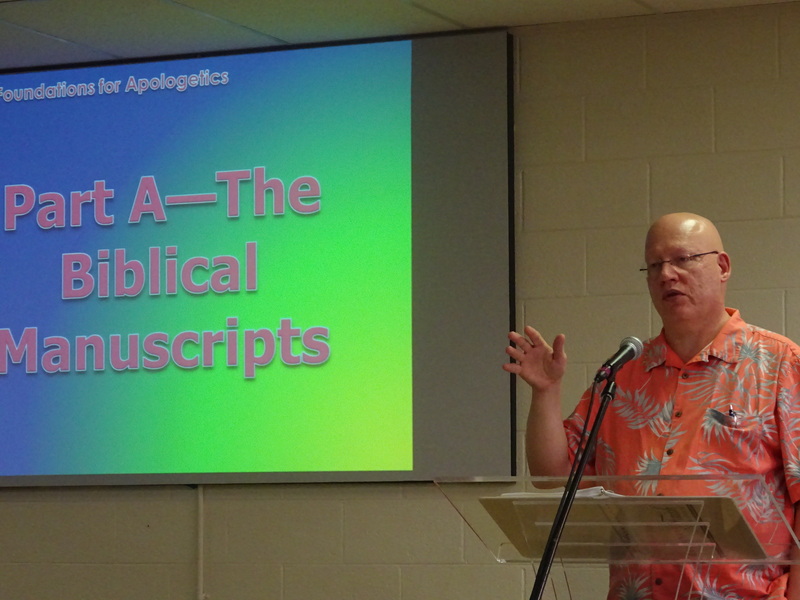 Our chapter’s goal is to give reasonable ideas that support belief in God and the reliability of the Bible. See the video links below for some examples. We meet on the second Sunday of each month. Our next meeting is April 14th. We’ll hear a presentation about Dr. Craig’s book – On Guard, Defending Your Faith with Reason and Precision, from Deacon Vince Easley. Our meeting place is Judy’s Cafe #2 in Duncanville, TX. (See address below.) Everyone will order off the menu, and we’ll meet in the back room of the restaurant while we eat together. Whether or not you are a Christian, and without regard to your church affiliation or lack of it, you are invited to attend our meetings. We will meet at 12:20 p.m., order off the menu, and listen to and discuss apologetics, the defense of the Christian message, over lunch. Reasonable Faith Videos: (Youtube) Please click the links. Who Did Jesus Think That He Was? 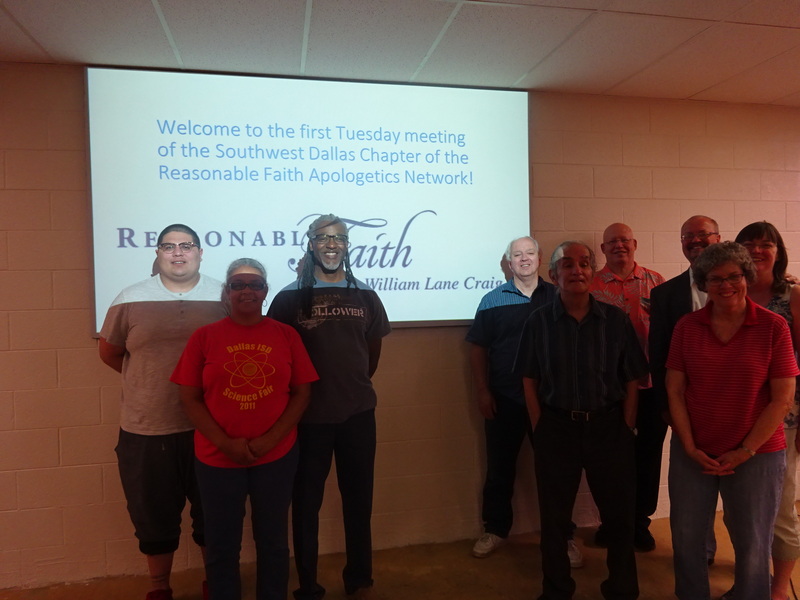 The first meeting of the Southwest Dallas Chapter of the Reasonable Faith Apologetics Network, July 7, 2015. Attendees at the first meeting of the Southwest Dallas Reasonable Faith Apologetics Chapter, July 7, 2015. 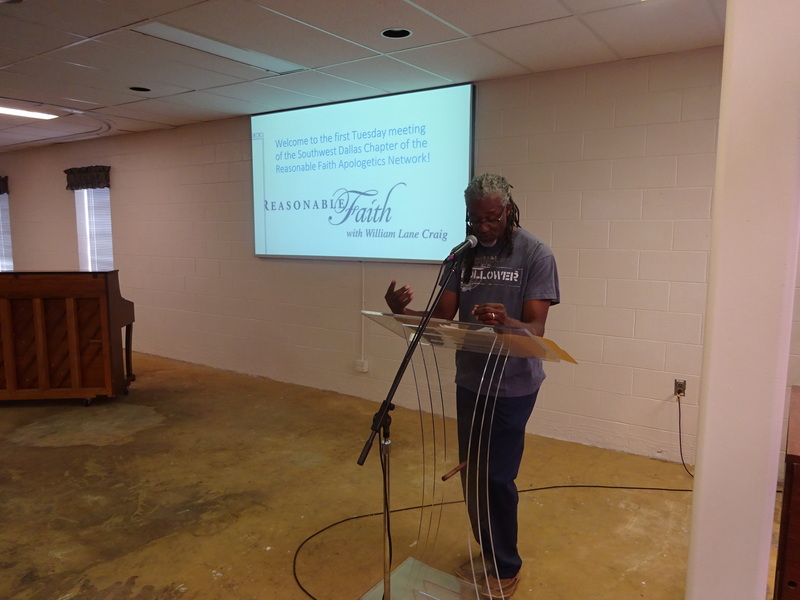 Vince Easley gave a presentation on Clear Thinking About Abortion. Richard Evans presented on How Fine-Tuning of the Universe Points to a Creator.